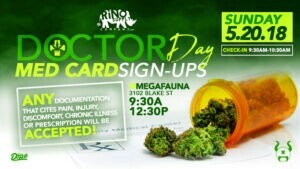 Join Rino Supply for a Doctor Day May 20 from 9:30a-12:30p. 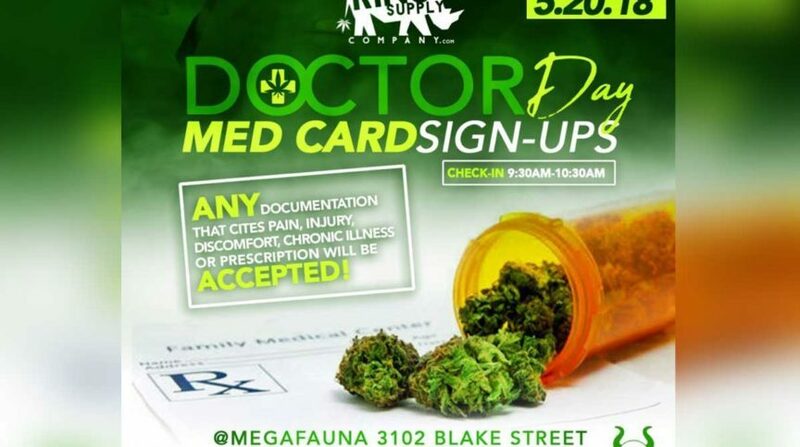 The MED card sign-up will take place at MegaFauna 3102 Blake Street. Rino Supply will be offering discounted doctor day May 20 sign ups, deep discounts on first time purchases and referrals to join the Rino Rewards Membership Program. The Preservery will be offering 10% brunch with proof of MED card on Sunday Doctor Day May 20. Patients need to bring their valid CO ID and cash. Those looking for extended plant counts need to bring medical records or proof of documentation that cites pain, injury, discomfort, chronic illness or prescription.